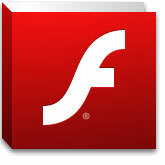 TFMicck4U | Tech From Micck 4 You: Adobe Flash 10.2 Beta Open for Download! Adobe announced the official launch of the Adobe Flash Player 10.2 Beta test version, which focused on Stage Video hardware acceleration, supporting IE9 hardware acceleration, and other improvements. Below is a sneak peak of Stage Video hardware acceleration from Adobe MAX 2010.